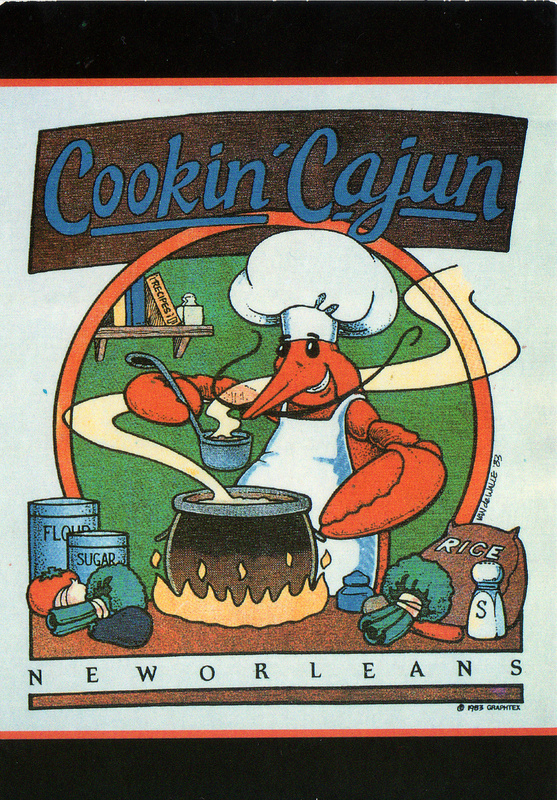 I got this postcard in … well, New Orleans, Louisiana. It’s Thanksgiving-time, which I am excited about. You know, America has always had a certain bravado which is pretty cool, and Thanksgiving shows more of it. So shove off obesity as a national epidemic, and hand me more pie! 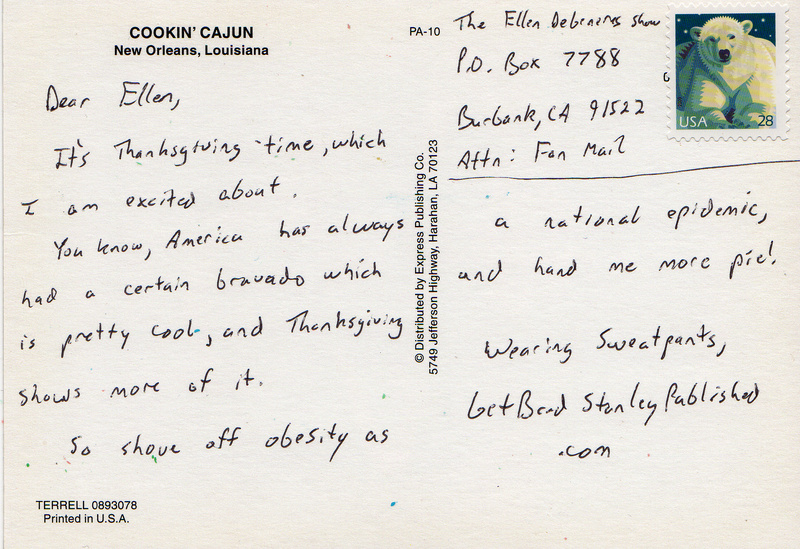 While I enjoyed the whole postcard, I enjoyed the “Wearing Sweatpants” as a sign-off best. I hadn’t actually looked that closely at the postcard, so I’m happy you pointed that out because I looked it over closely and now fully appreciate the art.